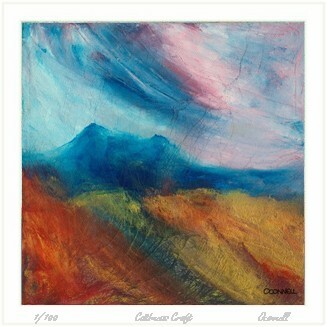 This contemporary Scottish landscape painting was inspired by the picturesque Eildon hills of the Scottish borders near to Melrose topped with a monument to Sir Walter Scott. 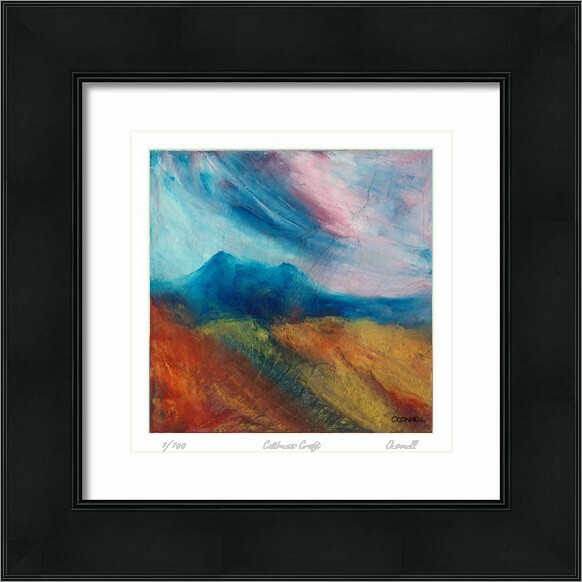 Painted in a contemporary semi abstract colorful impressionist style in blues and golden red with an atmospheric stormy sky. 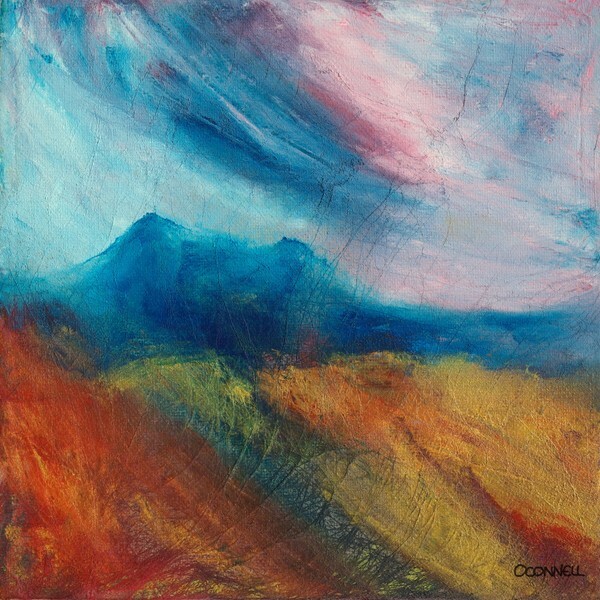 Painted on a lightly textured canvas.